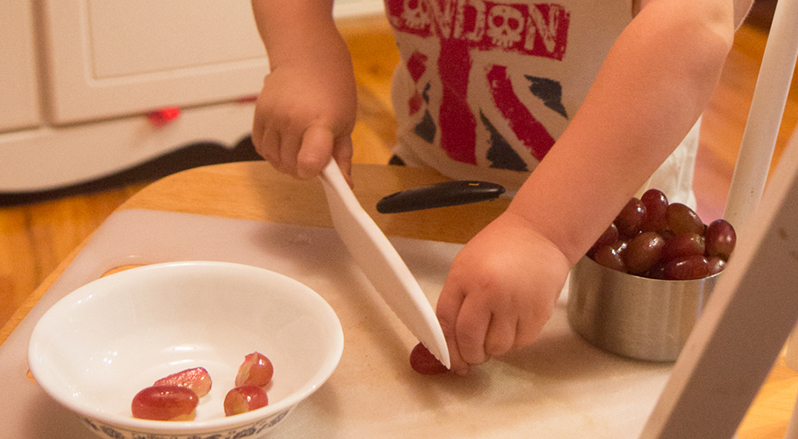 A great way to help your little chef ‘help’ you. Like most kids, our little guy absolutely loves to ‘help’ with everything. We decided very early on that we were going to work hard to try to give him a meaningful, contributing outlet for that impulse, even though it tends to make everything take a lot longer. When we came across this knife set, it was an easy sell. We all love food, and we love spending time in the kitchen. 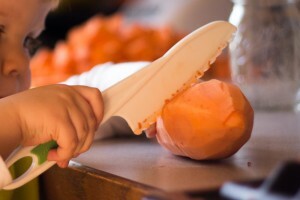 These let us give our little chef some real chopping jobs to practice on without us holding his hands or worrying too much. They are sharp enough to saw through softer things, and could do damage if he fell on one or something, so they are definitely not toys for the play kitchen. On the other hand, they are not hard or sharp enough that he could really hurt himself while working.